We all lose things from time to time and it can be very upsetting, even if the item only has sentimental value. But if what you have lost is your laptop with all your work on it, the repercussions can be disastrous. It is very easy to forget to insure your stuff or back up your files. Even if you have taken these precautions, a loss can still be very annoying. If you have lost something, you should obviously try practical ways of finding your item before resorting to magic. Search everywhere it is likely to be, ask people who may have seen it, contact your service provider if you have lost something like a mobile phone, check lost property departments and tell the police if you think it might have been stolen. But magic can help you find lost things – and there are many different ways of doing this. Dowsing - sometimes called divining - is one of the best known magical means of locating things that are hidden. It is most often used to find sources of water below the ground, but you can use the same techniques to find mislaid or hidden objects. It is done with a handheld instrument such as a forked hazel twig, a set of metal rods or a pendulum. To use a pendulum to dowse for something, hold it by its chain or cord and concentrate on the thing you are looking for. The pendulum should start swinging in the direction you need to go. You can triangulate by using the pendulum in several places and seeing where the lines it points to converge. If you are using the pendulum over or close to the thing you want to find, it might go round in a circle rather than swing backwards and forwards. Candle spells can easily be used to help you recover lost items. You can either cast a spell to try to reveal the location of something that is hidden or concealed, or you can try to attract the item to you. The nice thing about candle magic is that all you really need is a candle. You either inscribe your wish on the candle, or concentrate very hard on your wish, then light the candle and concentrate on sending the wish into the flame. Ideally, you should let the candle burn down completely to be fully effective. As it is dangerous to leave candles unattended, you might want to use a small candle for your spell or else burn the candle for a while every evening before you go to bed, repeating your wish. If you want, you can place a small lodestone or magnet at the base of your candle if you are casting a spell to attract things, or place the candle on or in front of a mirror to reveal hidden things. Scrying is the witch's traditional method of finding the answers to questions and seeking hidden knowledge as well as looking into the future. It can also be used to find lost things. Crystal balls and dark mirrors are best for this kind of scrying, but it does take a little practice to learn the art. 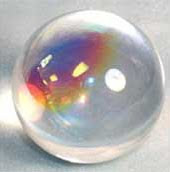 If you don't own a crystal ball or dark mirror, you can use a simple bowl of water. Fill a bowl or cauldron nearly to the top with water. Dim the lights and stare into the bowl, then ask it to reveal to you the location of what you are looking for. After a while you should start to see shapes and images, which could offer clues to help you find your lost item. If you have searched everywhere and tried everything and still can't find your lost item, you will probably have to consider getting a replacement. However, doing that might be just the trick to help you find the one you lost. Maybe it is just coincidence, but the number of times I have held out on replacing something because I am sure the old one would turn up sooner or later, only to find it does reappear just as I've forked out to buy a new one. Blame it on the mischevious fairy folk - that's what I do. If you think your relatives might possibly have taken things that you think don't belong to them, then it would be ideal if you could have a discussion about this with them. Maybe this can be cleared up without much fuss. If you are sure that something has been stolen, then go to the police and report the crime. You might be able to claim back for stolen things through your insurance too. Please use normal means of getting items returned before casting any spells. There was a thief in my house and he stole many valuable things including my latop proffesional camera and a bracelet that had a sentimental value to my family. What should I do? Can I cast a spell? Can you help me? I have lost both my nephews Dual Citizenship cards. I thought I put it in my suitcase but it's not there. I have searched everywhere it could be and I still cant find it. Their flight is in a few days and they cant travel without it. What spell could I use to find them? Please help me. So sorry to hear you can't find those important documents. There are various deities you could pray to for help in finding them. Adeona is the Roman guiding goddess for children. She helps children find their way home if they are lost, but she might also help your children find the Citizen Cards they need to travel. Hi Anonymous. Sorry to hear that you lost your bracelet. To be honest, before using magic, your best bet would be to phone the place you were staying and ask if the bracelet was handed in to lost property. If so, perhaps they could post it back to you in a plain padded envelope without your mum knowing? You could also ask the hotel whether they can give you the phone numbers of any other lost property offices in that area, in case it was handed in locally. If that doesn't work, you could try a little magical scrying (using a bowl of water to scry into) to see if you get a glimpse of where your bracelet is now. Hi BW, a year ago we were raided by armed gangsters at our home. They managed to get away with my laptop, mobile phones, other electronics such as dvd player, game console, computer drives; and also cash. Unfortunately I dont have insurance, I reported the matter to the police but to date no one has ever been brought to book/ arrested. Can I cast a spell or try /learn scrying to locate my property? what advice do you have for me? My I phone is stolen in hospital and I want it back. I have 1800 contacts and 2000 pictures including my bank statements and 8 GB data. I wish to see his face or his address or get my phone at my address or get information from hospital's lost and found section. I have video in CCTV which they don't reveal and I tracked phone earlier but he switched it off now...Please help I am freaking out..
Lots of sympathy over your stolen phone. I'm afraid I don't give out my phone number on my blog, but I do hope you get your phone back. Phone your service provider - they might be able to help you by blocking the stolen handset and give info on recovering lost data. My neighbours have been troubling our family a lot, recently my male cat tiny white in colour was stolen then my jolly black and white eas stolen, I have tried everything but cant locate them either they are kept in their houses or left at a far off place, please help me locate them so I can get them, I have nobody who can help me. Anonymous - Retrace your steps and try to remember where you had your notebook last. Ask the people who were with you in those places. Contact your college in case it has been handed in. I'll be wishing you good luck in your exams! During one party at our home my families gold was all taken. I mean all of it! There were only family members invited to this gathering so it had to be one of them. I would love to recover all these items as most of them were given to us by relatives who have already passed and hold a very dear place in my heart. However, it would also be ideal if I could find out who took them in the first place. Thank you so much. That is a very difficult situation and you have my sympathy. You should report the theft to the police as that is necessary if you are to claim back against your insurance, if nothing else. And do check if your insurance does cover the loss. After that, I would recommend doing a spell to encourage the thief to return the items or to own up - seeing as they are a family member then it is possible they are feeling very guilty, so might be persuaded to return them. And where can I find this spell? I posted my request on 16 april2014 , the last in list.plz guide and help me..
Hello my dog is missing and yes I have tried everything he is alive (animal communicator said) what should I try I have a pendulumn which I find hard to use and a crystal ball. For missing dogs, first you have done the right thing to try everything in the usual means of searching. It is right to contact the police, the local vets, animal shelters such as the RSPCA and Battersea Dogs Home and ask the people who live near you if they have seen him. The local council may have records of animals its workers have found. I presume your pet is microchipped. That helps a lot. Put missing dog posters up in your area and go searching yourself. However, it sounds as though you have done all of those things already. In terms of asking for spiritual help, I would ask the Goddess Artemis, huntress and protector of animals with an affinity for dogs to help you track him down before you go looking for him. As her to guide your footsteps to follow his trail. Hi Deborah, I would recommend that you get a good lawyer to check over all the legal matters and see what can be done officially. I would also ask for the help of the Goddess Themis, Greek Goddess of Divine Justice. Her sister, Nemesis, is the Goddess of Revenge if you are treated unjustly, but she really only brings unpleasantness. Try for justice first. How should I ask the Goddess Artemis for help (special ritual and how to do it). Well, you could simply say a prayer to Artemis. However, many pagans prefer to cast a circle before petitioning a deity, then perhaps lighting some incense or a candle, pouring a small libation of wine to the Goddess or saying some poetry to praise her, then asking for her help. I once dated guy, we broke up last year around april. I have been trying for a year to get my grandmothers rosary back, he eather took it himself or let one of his friends steal it while I was at work. I myself am a grey witch (not Catholic tho my fathers side of the family is), I have tried many things to locate or get it back and nothing has worked so I think im missing something. I refuse to lose hope tho, she would never allow me to lol Any ideas? To be honest, I recommend you get legal advice over this one. Gather as much proof of the loan as you have, and proof that the item belonged to your family, and get a solicitor to write a letter asking for the item to be returned. However, a little candle magic to help your cause would be a good idea. Put a little geranium oil on a candle and light the candle saying "Let that which is mine be returned to me". Then let the candle burn down. You can use a tealight candle if you like for this purpose. Last week on 17th July 2014 three people came to my home at two different times. Two came together and one came separately. Since then two of my gold rings are missing. They are of 10 grams weight put together. And are very dear to me. I suspect any one among these three people must have stolen the rings. I have also indirectly asked them. But they are saying they have not taken them. I am very upset since then. Please suggest me a way to get my rings back. Thanks a lot for your initiatives. Hi, Last week on 17th July 2014 three people came to my home at two different times. Two came together and one came separately. Since then two of my gold rings are missing. They are of 10 grams of gold in total. And are very dear to me. I suspect any one of these three people must have stolen the rings. I have also indirectly asked them. But they are saying they have not taken them. I am very upset since then. Please suggest me a way to get my rings back. Thanks a lot for your initiative. First, you must report the theft to the police and let them know about your suspicions. Is your home contents insured? If so, then the rings are almost certainly covered under it and you could get them replaced - although I realise that will not replace the sentimental value. Magically, follow the suggestions in my blog post and some of the other suggestions I have made in response to similar comments on this list. BTW - there is no need to post the same question twice on my blog. I have comment moderation switched on, which means that I get to see comments that are left before letting them appear on my blog. Good luck in getting your things back, I really hope you are lucky! Hi, Thank you so much for your prompt reply. I really appreciate this :) I have not reported this to the police yet. I am from Chennai, India. My husband and my sister both are suggesting me not to go to the police. And they are right in saying that as police here are not of great help. And in most cases they end up in harassing the victims instead of finding the guilty. If you do not mind could you please suggest me some rituals to perform to help me get back my rings. I would appreciate any type of help from your side. Thanks a lot. Have you tried all the suggestions that I made in my original post and in some of my replies to other people's comments to the post? If so, let me know how you got on with all of them. If none have worked, at least let me know what happened as that will give me ideas for what to try that might work better in your particular circumstance. Thanks for your advice. Yes, if proof had existed this would have been pursued through the courts at the time, Unfortunately this was all done on a goodwill basis.... And as we know, Possession is considered nine tenths of the law ( spits!) are there no rituals that compel a thief or 'borrower' to return items? Why not try a candle magic spells asking that the person who "borrowed" the item is struck pangs of guilt that will only go away when they return the item? Just light a candle and make your wish. Repeat as necessary. My mothers ring was stolen. This is the only object I have left from when my mother father were together. Ive tried talking to the person who stole it but nothing, several other people as well. We are getting the cops involved but just on case that doesn't work out could you help me? I can't explain how much this ring means to me. I just found out that he actually used the ring to get married with his newly wife! I Dont understand how you could start a marriage with a stolen object. I feel so sorry for you Linda. Do read replies I have made to similar situations people have mentioned in the comments and see if any of them appeal to you as being suitable. My pet was stolen on wed. He isn't just a pet. He is our child!!! We are desperate and heartbroken. We've tried most everyday ways of locating him or having him returned. We've also tried candle magic. I need advice on the best and most affective way of having him returned to us!!! Please help. We are broken. I am visiting family in France right now and just yesterday my glasses case got stolen. In there are my sunglasses and two pairs of earrings. None of them are admitting to the theft but I honestly think it was my ain't as we aren't particularly on good terms. This will be my first time doing magic, will that make much of a difference? Also will there be any unusual feelings or side effects? Well some pagans believe in the rule of threefold return, meaning if you do good magic then good luck will come back to you three times over, but if you curse someone then bad luck will come back to you three times over. Doing a spell to locate a lost or missing item is neutral, so there shouldn't be any side effects at all. Perhaps I should also say that some witches believe that begginers' luck can work in a person's favour the first time they do a spell. So if it is your first spell, then hopefully beginners' luck will help you. My workbag, lunchbag and purse were stolen from my car last night. They smashed my window and grabbed it and drove away. It was a white Nissan Ultima (after viewing footage cannot make out license plate). Sentimental things, valuable things, things I treasure and things I need like meds., paperwork, calendar are in those bags. I want my stuff back now. I have filed a police report. I have searched high and low and asked people. I have exhausted all other options. Could you please tell me where to find the bags? I truly appreciate any and all help or assistance. Hi Melanie, so sorry to here that your bag was taken. Comments are on moderation in my blog, so I get to see them before allowing them to go live - that's to avoid spam. No need to post the same comment several times, as I do see them. I strongly recommend taking the advice in my blog post about finding lost things and also read the other comments to the post as I have made several other suggestions there. Not knowing you or your items means I am not in the best position to find them for you - but I do wish you good luck and will light a candle to send good wishes your way. Hello. Thank you for answering. The computer kept refreshing and nothing was showing on the screen, I didn't mean to post twice. I have read the above information on lost items and it is helpful. I sent an email to you asking for your assistance. Blessings. Hello, its been frustrating for me that I lost my keys. I hope that you can give me a spell to recover it and to know if I misplaced it or someone stole it to make me suffer. Sympathy over losing your keys. It is very annoying when that kind of thing happens. Do try the suggestions in my original blog post for finding lost things. I've also made other suggestions in comments from the main blog posts. Howver, with lost keys, I strongly suggest that if you don't find them quickly you get a locksmith to change your locks and get totally new keys. If someone has taken them, you really don't then want them to use the keys to burgle your home too! I have used the scyring method of finding lost things but I have no results. I dimmed the light, stared into the bowl and asked it to reveal my lost item. I waited and waited but nothing happened. Soon shapes appeared but none of the make sense. What do I do? I have tried the scyring method. Shapes appeared but they don't make any sense. What do I do? It can take time to learn to make sense of the shapes you see when scrying. Books on learning how to scry can be useful as a starting point. If she buried it, the a metal detector might help you find it. Otherwise just search her house from top to bottom? Dowsing might help you find it too. I stay in a hostel. I lost my wallet with more than thousand rupees in it, my silver chain with birth stone pendant, atm card and SIM card. What do I do? To start with, do all the practical things - contact your bank to get your cards stopped. Your bank might also be able to help by getting replacements sent to you. Contact the police, contact your insurance company. I would also say a prayer to the Goddess Fortuna for good luck in either getting your things back or getting a quick resolution to your problems. I need help. My bf had a set if very expensive rims valued at about 2600$. Stored at his moms house. They had been there for years and nothing ever happen to them. His brother recently was released from jail. He has been in and out if some mental facilities as well. So he is not all there. He has been through quite a lot. He moved I'm with his mother after his release and we moved out got a small apartment because my bf and I are expecting our 1st baby. His rims stayed behind because there was no room to store them in our place. His brother recently started selling stuff around the house to get money for drugs and cigarette. Yesterday his mother called us worried about her sons behavior saying he was getting aggressive and took the flat screen apart from the mounted stand and had pleased it in the side of the wall. So she took it and put it her room. When she called us to tell us the first thing that came to my mind was love we have to go pick up your rims. My husband works a lot and comes home from work every day tired. He's a great man and a hard worker. Everything he does is for our future and the future if our baby. after having those rims stored for so long he decided he would finally sell them to help us with anything we needed for the new baby who is due next month. My bf told me to check some small storage room places for pricing I did but by then it was 630 they were all closed. He was so tired he didn't want to go to his moms. Were would we put rims? These aren't just any regular rims you would need more than one person to Carrie just one there so heavy. Something told me we should of went to his moms because she was still startled by the whole situation some people had even stopped at her home looking for her son and even walked all the way into her some and acted really friendly and suspicious. She didn't tell us about this until later that night. Between the hours of 7pm and 3 am my bf and I got into an argument that lasted hours. I was hurt and debistated over a personal matter. Through out our aurgument I kept wanting to leave him and go to his mothers to get away from him and clear my mind. Throughout the night that's exactly what he wanted to do as well. But none of us did. 1 am he received a call from his mother I don't know what was discussed. At about 2:45 am after many apologies and a breakdown he finally convinced me to come to bed. 3 a.m were are finally asleep. 4:15 am he gets up to go to work . arrives at 4:47 and called me to apologize once again for his actions. He tells me he is angry at himself for the stupid decisions he made and is pretty upset with his brother as well. This is why. His mother called to tell him that while her and her husband were asleep his brother came home in the middle if the night and when she awoke and checked the room the rims were gone along with other valuable things in her house. I told my bf to leave his job and for us to go to his mothers immedietly to make a police report. We arived there at 6 his brother who was gone arrived at 7 claiming he knew nothing about what happen. He was empty handed. Mind that he's is mentally not all there. The friends he had took advantage of him and we know he let them or him who ever helped him into the house and in an instant took everything and left.while his parents slept.2600$ hard earned gone. Just given away for nothing. His brother doesn't even comprehend what he did or doesn' care or has something to do with it. The police took 2 hours to before they arrived I had to leave and take my bf to work . he couldn't afford being absent and loosing hours. I specifically asked them to send a bilingual officer because his mother only spoke Spanish . and what "reliable statement " would they get from his brother. It was bad luck AT perfect timing again. His mother said the officers didn't understand her didn't care and were in a hurry to leave. I still haven't slept I feel as if we let this happen. If its not one thing its another. Today after my bf got out of work we went back ti his mom he took his brother to show him were was the guy that's been hanging out with him and knew about the things that were in the house. He's took him to a random house I feel like he's just taking him in circles. This is pointless. On top of what was taken from Us and his parents who are elderly. They took away his mother and fathers peace if mind. They are terrified and are not at peace knowing they just walked in robbed there house . please help. You should check any insurance policies that you have. Stolen things are usually covered by home contents insurance. You did the right thing by going to the police. Chase them up to see what progress they have made. Just came across this article after using my tigers eye pendulum to divine for an ideal spot for a well. Between moonstone, amethyst and tigers eye -all told me to continue right on the property, then asked if we were in the right area -it intimated yes- then found the spot that 'felt' right, asked the tigers eye once more and it swung in LARGE circles. Very excited! 2 months back (Fabruary 4, 2015 ) my Dad's Gemstone rings (Catseye and Yellow Sapphire) got picked from a place where I had hidden it. My Dad had left it at home when he went out of station. I feel very guilty about this loss. My dad feels the rings are in my possession. But I do not have it. I had confessed to him that I had hidden it to teach him a small lesson. I suspect someone in our family stole it. My Brother does not work and he has a family to fend for. I and my Dad approached the police but they said its a family matter. I need help to find the rings and also to get my name cleared from what I have not done. Please help. Wow, I didn't think you'd still be actively answering comments and questions years after this was posted. That's awesome, good for you for keeping up on it. I just was wondering if there are some things that are just not meant to be found. I have misplaced or lost my wallet nearly a dozen times even though I usually have one spot for it and I never remember putting it elsewhere. Nine times out of ten I find my wallet some time later, after using a simple Lost and Found candle spell. But part of me is beginning to wonder if there's a reason why I'm losing it so often. Nik, Yes, I do sometimes think that when we lose things it is because it is time for them to go. It is something I've been meaning to blog about in fact. hey, i want to help my elder sister recover back her stolen wallet. it has alot of valueables inside. bank cards, identity cards, qualification cards. do help. I lost my grandmother's (very expensive) wedding ring. It wasn't left to me, so I feel horrible about it. My mom decided I should have it. I believe that I wore it last on Feb 9th and did not notice it missing until March 3rd. That in itself is unusual. Normally I look at it every day. My psychic friend said it was my grandmothers doing as a lesson and it may return. I have been considering trying a lost spell, but not sure if I should. Any thoughts? Zachariah, I wrote a blog post called: Spell: Talisman to Help Recover a Stolen Laptop http://www.badwitch.co.uk/2012/11/spell-talisman-to-help-recover-stolen.html I hope that helps. Im sella, I need help . I lost my classcards. I search all over in my house but I can't found it. I need it urgently. Please can you help me? Sella, I hope you find your classcards soon. I don't run a spellcasting service, but if you try the techniques on my blog and in some of the comments then that could help you. Sella, try whichever technique or techniques appeal to you most. BTW there is no need to post the same message several times. Comments are moderated on my blog, which means every time you leave a comment it sits in the "for moderation" tray waiting for me to OK them or mark them as spam :) Hope you get your cards back. Best wishes. BTW there is no need to post the same message several times. Comments are moderated on my blog, which means every time you leave a comment it sits in the "for moderation" tray waiting for me to OK them or mark them as spam :) Hope you get your cards back. Best wishes. I have lost rs.7000/-. I had kept for my staff salary. I am v upset. Please help. I can understand you feeling very upset. I hope you have contacted the police. Best Wishes and good luck! Someone broke into my room, and stole my laptop and that of my friend's, in my country police don't help matters but rather worsen it, if you can make the thief return it, I will be most grateful. Am a student of University of Jos. IS there something to be done in the following case? I was very sick 10 years ago and my preants asked a very rich man(he had been an University collegue with my dad) to lend them some money for my treatment; he did but asked a very valuable property as security (although the amount that my parents asked was so small). My parents could not pay and they were forcerd to sell him that entire property 10 times less then the market value . 10 times less !!! We were ruined and he got even richer. He and his wife are old, don't have children, billionaires (not joking) and still greedy, they take advantage of people misfortune to take their properties. My father died later in poverty. Is there a spell to get back my family land ? To get it back, him that man the money he gave us for it and never hear of him again? Mam, I found out today that some of the old utensils made out of special metal which would be around 200 years old were stolen from me..these were used by my great grand mother and it is very valuable. I was the one who place it in its place where it was supposed to be hidden. Kindly help me I finding it. Mam, today I found out that some of my old utensils made of special metal which is 200 years old have been stolen. It was used by my great grandmother. It includes exquisite lamps beautiful vessels etc. I was the one who placed it in its place where it was supposed to be hidden. Kindly help me to find it. Im heartbroken because it was something left to me by my ancestors. Im not worried about the money I could make by selling it. I value it by keeping it with me as a reminder of my great ancestors. Hello Dear on the 09-06-2015 the postman delivered a package containg a haunted pendant but thing is i never got it! after inquiring the postman dropped the package in the mailbix it is an open mailbox so anybody can take what is there the package has been stolen asked my neigbours nobody so the package although i know it was taken i used my pendulum this pendant was heavy spellcasted for luck money protection and more plus it was a vessel to high beings my question to you how can i get it back? is there a spell i can persuade the entities to come back to me? I HAVE THERE NAMES AND PICTURE OF VESSEL or something else ? I lost my phone charger,and i'm suspecting my aunt,but i dont know where to find it..because i already searched all cabinets and things and places in my house ..but i never found it..i'm suspecting someone stole it because even just a cord i havent found yet ..
hi someone had stolen microscope from our laboratory, in spite of checking through cameras and police inquiry we are unable to find it.can you please tell us a spell to find the thief or microscope. I really sympathise when I hear so many stories of things being stolen or going missing. I do not run a spellcasting service, but do wish all who have lost things the best of luck in getting them back. The blog post and in the comments there are lots of suggestions for practical and magical ways to improve your chances of finding losting things, so do give them a go. I have lost my eating I just gotten yesterday any ideas on what I could use to find it. I've tried scrying and dowsing. And neither worked please help. Hi I lost my chain with black beeds with a big pendent.its made of gold. I have full dought that my servant has taken it. I even called her to police station but nothing happened.she is a lady with one girl n a boy. Daughter has taken it I have full confidence that she has taken it.because she took my money before also n gave it back.i live in India so no one help anyone. So please help me. Like we put wedding ring 💍 the same way that is very important to me. I have lost my wallet .I'm not confirmed it is lost or stolen but it is not with me.Two days back I had coffee with my friend at the coffee shop and then returned with the wallet in my hand.after that i'm not able to remember anything.very important cards were there in the wallet i'm very tensed.plz hep me out with something. I had a friend move in with me and i was getting ready to go on vacation for two weeks so she was here alone and watching my dogs while gone. I came home and she was moved out which is good, but she took some of my stuff. What spelled can be cast to get it back? She wont return my calls or texts cause she owes me money too. Want my stuff and cash and cant find any mail and paperwork that was here. She rearranged my living room and cleaned. Help please, thank you! Hii! Iam extremely in trouble me n my friend saved 10000 rs for future use I use to keep it with me in my black purse rapped in a paper in almirah and now its stolen by someone. I live in a hostel 16 girls on my floor somebody has done it defiantly I want to know I want my money back it meant a lot for me as iam a student. i don't know whether i lost my passport or it was stolen. Can you help me to find it out? Is there any black spell that could make the one who took it return it back? Please help. I am in a serious trouble. I do not run a spell-casting service. Do try the suggestions on my blog post and also read through the rest of the comments to find some other suggestions I have made, hopefully you will get your stuff returned. pls help how can I get my stolen phone back. I ave soo many info on it. Sandra, so sorry to hear you have lost your phone. I do not run a spell-casting service. Do try the suggestions on my blog post and also read through the rest of the comments to find some other suggestions I have made, hopefully you will get your phone returned. Kyle, I do not run a spell-casting service. My suggestion is to pray to the Goddess Aphrodite for the opportunity for romance to blossom between you, so long as it harms none and both of you are willing. The candle spell I describe in my post above is very simple and perfect for beginners. You could also just say a prayer to either the Goddess Fortuna or the Saint Anthony, the saint of lost things, for your item to be returned. i had lost my late grandfather's ring which was very precious to me. It happened between 26th January - 20th February 2015. I have searched for it everywhere in the house, but no success, i am very guilty of losing it due to my carelessness. Could you please suggest some spell which is effective for a beginner, because everyday i feel guilty of losing it. please help. So sorry to hear you lost your late grandfather's ring. The candle spell I describe in my post above is very simple and perfect for beginners. You could also just say a prayer to either the Goddess Fortuna or the Saint Anthony, the saint of lost things, for your item to be found. I hope you get it back soon! There are quite a few suggestions for things to try both on my original blog post and in the comments. I do hope you get your book back. If it was created electronically, might there be another copy somewhere? Hello my roommate claims to have left the door unlocked, and my safe was taken(iside had ALL my money over 15,000) I need something strong because I have taken all the "normal" steps to report the incident and seek justice. I feel as if my roommate of someone close to her has taken it. I just want justice and my hard working monwh back- I am trying to stay hopeful but I feel like I'm losing my mind. Loss of money isn't worthwhile also losing your mind over. I hope you get it back, but if you don't, you will need to learn to move on. It was all for my college tuition. So definitely moving on is somw what hard to do because this alters my future completly.This is not a break up, this is my life earnings moving on is not an option. OK, first talk to the college. It could be that if you explain the situation then have bursaries or whatever that could help you out. Another thing might be to consider raising money with gofundme - again your plight and situation might encourage people to help you raise the money. Move on from your anger and grief, not from your dreams. Another thought - sometimes when life forces us to do things that aren't what we think we want to do, it turns out for the best in the end. You are never too old to go to college - I'm 55 and going to take a course next year. If you have to work for a few years and then go to college as a mature student, that isn't necessarily going to end up being worse for you. I don't run a spellcasting service, but do try the suggestions on my post. Good luck in finding it again. I am very sorry to hear you have lost your earing. I do not run a spellcasting service, but if you try all the suggestions on my blog post and also some of the other ideas given in the comments, they might help you find it. Good luck. Hi my mom lost her jewellery which is worth of 3 lakhs last year it would be great to help me how to find it back with the help of ur black magic as my family is worried about from too many months and if we file a complain my family is worried that they would loose their family reputation so please do help me as to what to be done and how to find it back as soon as possible. Kavya - I very much hope your mum finds her jewellery. However, I don't do black magic, neither do I offer a spellcasting service. Please try the suggestions in my post and some of the other suggestions in the comments. These are things you can do yourself to boost all the other things you can do - like searching thoroughly and asking anyone who might know where it is. Also, does your mother have her jewellery insured or is it covered by any contents insurance? Can you please help me find my camera? I've searched everywhere and can't find it. I have videos and pictures of my friends and I, so if it's been stolen, they could be in danger. I don't want my friends to be hurt. I must find my camera. I am very sorry to hear you have lost your jewelry box. I do not run a spellcasting service, but if you try all the suggestions on my blog post and also some of the other ideas given in the comments, they might help you get it back. Also, check if your home insurance covers your loss. Good luck. Three months ago the manager of a storage company left a message on my voicemail saying that a couple of weeks ago that the lock on my storage unit was cut off and they had replace it with one of their own locks. When I called the next day one of the employees answered and said they would take pictures of the unit and to let them know if it looked like anything was missing. I saw that more than half the boxes were missing. The items that were in there mostly belonged to my grandparents and parents whom are all passed away. Also pictures of my daughter as a baby and child were in some of those boxes. I have been very depressed over this situation and really would appreciate if you could give me some guidance on how I can have the items returned in some way. Three months ago the manager of the storage company had left a message on my voicemail and said that they had replaced the lock on my unit due to somebody had cut mine off two weeks prior to the message. Most of the items belonged to deceased family. All I had left from being stolen from prior to putting things in the storage facility. I am severely depressed only because it is things non replaceable such as pictures and personal items. Also my daughter's and my baby and childhood pictures were in there which also cannot be replaced. I would really appreciate your guidance in having these things returned to me if possible. I cannot remember all the items as there were many and were not mine. I packed the things from my parents estate after it being sold and what was left after my daughters father and several others in the neighborhood had rummaged and stolen prior to what little that was left to put into that unit. Tina, so sad to hear that you have lost a lot of family photos and other sentimental items. I do not run a spellcasting service, but do try out the suggestions in my blog post and also read the comments as there are other suggestions there. I would also recommend talking to people who own the other storage units or houses in the area in case they saw something. It is possible that copies of the photos are owned by other family members - you could try asking if they have any. I know when my mother died I got sent photos of her that I did not know existed but had been taken by other family members. Good luck and best wishes. hi , i lost my ring last week , between friday-sunday evening. i just noticed that it was lost this morning, my father gave it to me so its important, i have someone in my mind but dont have any proof that he stole it. before that, we also lost money and my fathers wedding ring also my mothers other ring. can you help me pls ? I was moving from Chicago to Atlanta.I packed everything and I remember keeping all my gold jewellery in a white bag.I moved to Atlanta and after checking everything I found my white Bag with gold is missing.I dont remember where I kept it.But I remember keeping them all in the white bag. Movers and Cleaners had come to pack and clean the apartment.But I dont know if someone has stolen it or its just missing.I am very careful with my stuff and dont think losing it so easily. me and my friend use to stay in her room, we are neigbhours until yesterday when she phoned me while i am at work telling me that her 1000 dollars got dissapeared from her room. but she is sure that it is me who stole it. as for me i know i didnt touch the money but she believed i did. i just want to find thae person who stole the money and the trueth behind all the accusasions please help i am dying inside. I don't run a spellcasting service, but do try the suggestions in my blog post and in the comments. Good luck. Good luck with finding your certificates. I do sympathise. Although I don't run a spellcasting service, I hope the suggestions on this page help you find them. Good luck. Hi can you pls help me. I am in India, new Delhi. On 21st august all my jewellery was stollen. There was a theft in the house and all my jewellery was taken. All other members of the famaily there things were intact. Police complaint has been logeded the same day this happened but I haven't been able to recover anything. Pls help me. I had a robbery of more then 4 crores pls I need my jewellery back.pls help me. Piya, I am very sorry to hear of your loss. You have done the right thing by contacting the police. Now, check whether your home contents is insured. If so, then the jewellery is almost certainly covered under it and you could get it replaced. Magically, follow the suggestions in my blog post and some of the other suggestions I have made in response to similar comments on this list. Pls Help, I cant find my crystal ball and pendulum. I,ve been looking everywhere and cant find it. I'm looking for them because I wanted to do some scrying but then I couldn't find them. Help!!! Hi, Frim the day i got married i am losing my gold items.Firstly i lose my gold ring with in 5 or 6 days of my marriage. We all think that maid stole that but we donot have any proof. Now i dont know that either i forgot by placing or may be it get stolen. My gold ring purse a little one which i always used to carry in my big purse is missing from few days. I dont know how it get happened as i always take care of it but last time i wear it on 13 feb and after that i dont know where it goes. I search every where but it is not found. Please help me to recover it. I'm so sorry to hear about all the things people have lost and I hope all of those who left comments saying you have lost things find them again. I hope the information on my blog is helpful. I do not run a personal spellcasting service though. on Sunday 21/05/17 i Lost My Gold Ring or Someone Stolen . When we Drinks With friends . next day morning I realized my fourth finger is Empty . So help how can i find ? A thief smashed my car window (as I was standing near) and stole my bags and a dog carrier with my dog in it. I need help. Is there a spell for stolen family member? Hi. Can you help me. I lost my pure diamonds bracelet. It was given by mh grandmom we have a helper here and she also stole a money from my wallet yesterday. Please help.me return my bracelet.